There are many different types and styles available in today’s market. If someone is looking to cut back on power bills there are doors available for that also. Energy efficient doors fit perfectly on the door opening which means they are snug and air tight. This means that air will not get into or out of the house. Air conditioners and heating units will not be run as often as before. Replacement doors are also extremely attractive. In a home each room should require a door. Because each doorway will have a different size there are several different styles to select from. These doors are constructed of different types of materials. Looking at the design of the house is important when deciding what kind of door will best suit your home. A consumer must take into consideration the quality and construction of the door. It is important to keep in mind that just because the door is inexpensive it may not possess the good quality that you are looking for and you will find yourself shopping for another door in a short period of time. It is recommended that you research different doors before making a decision. 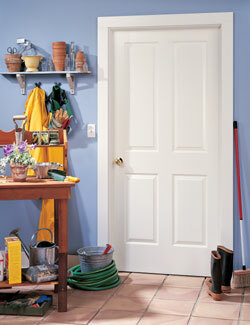 There are doors available that are not costly and have superior quality. Another way to save some money when purchasing a new door is to look for promotions that are being offered. Also look for lifetime guarantees. These are something that as a consumer should be important. Another way to save some of your hard earned money is by the government’s Tax Credit program. A person can be eligible for this savings when they are replacing old doors with doors that are more energy efficient.